December 6, 2018 | Miami-Dade County, FL As a record-setting year of successful deals for firm clients draws to an end, the attorneys of Offit Kurman’s Mergers and Acquisitions (M&A) Practice Group are pleased to announce the closure of another large business transaction. Attorneys Michael N. Mercurio, Michael A. Petrizzo, and Daniel Hofherr represented South Florida Pain & Rehabilitation, PA in its sale to Trive Capital Management, LLC. The transaction closed on November 28th. Since 2001, South Florida Pain & Rehabilitation has provided outpatient medical services for South Florida residents who have suffered personal injuries, many involving automotive accidents. Employing over 130 health care professionals trained to treat accident and injury victims, the company’s 15 clinics throughout South Florida have provided comprehensive, end-to-end solutions physical therapy and chiropractic services, pain management, and surgeries. Due to its unique marketplace and business model, which uses a proprietary methodology to accurately estimate settlement dollars, South Florida Pain & Rehabilitation quickly achieved a market value and growth pattern beyond that of most managed health-care providers. Trive Capital is a Dallas, Texas-based private equity firm managing over $2 billion in capital. The firm focuses on providing equity and debt capital to strategically viable middle-market companies that exhibit transformational upside potential. In contrast to competing firms, Trive emphasizes long-term partnerships with the management teams leading its target companies. Working collaboratively with these management teams, Trive identifies and implements strategic initiatives that ultimately lead to operational improvements and value creation. Trive Capital’s acquisition of South Florida Pain & Rehabilitation follows a rapid series of successful M&A deals for Offit Kurman clients. Many of these transactions have involved members of the health care industry. Just weeks prior to the South Florida Pain & Rehabilitation sale, Mr. Mercurio and Mr. Hofherr announced the closure of client Virginia-based Alliance Physical Therapy, LLC’s acquisition of Quality Chiropractic and Rehab, Inc.
Offit Kurman’s M&A Practice Group has published several articles and resources on the ways business owners on both the sell-side and the buy-side can take advantage of the current M&A market. To learn more, and to get in touch with an Offit Kurman M&A attorney, click here. Mr. Mercurio serves as outside general counsel to clients on matters related to corporate and business law, commercial transactions, government contracting, health care, construction services, and real estate. 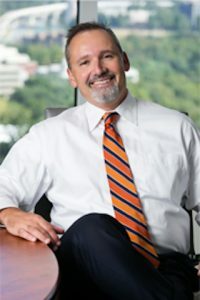 As a strategic partner to firm clients, Mr. Mercurio regularly counsels entrepreneurial individuals and assorted entities on all aspects of business and commerce including formation and structure; ownership, management and control; financing and capital; expansion and acquisition; sale and transfer; and contraction and dissolution.